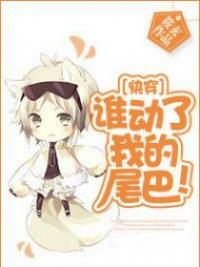 You’re reading novel Trial Marriage Husband: Need to Work Hard Chapter 822 online at LightNovelFree.com. Please use the follow button to get notification about the latest chapter next time when you visit LightNovelFree.com. Use F11 button to read novel in full-screen(PC only). Drop by anytime you want to read free – fast – latest novel. It’s great if you could leave a comment, share your opinion about the new chapters, new novel with others on the internet. We’ll do our best to bring you the finest, latest novel everyday. Enjoy! Chapter 822: Try To Complain? Get A Face Slap . To prevent people from causing trouble again, Long Jie specifically hired two bodyguards for Luo Sheng's parents . These two men appeared to be normal workers in the store, but in reality, they could paralyze a person with one swift move . Of course, SMY's members couldn't accept being overshadowed . Especially since they had always been the ones to bully Luo Sheng . How could they let him tread on top of them now? So, they hired three men to appear at Luo Sheng's parents' store to cause trouble again . Unfortunately, as soon as they stepped foot into the store, they were kicked out by the bodyguards arranged by Long Jie . On top of that, they were dragged to an empty alley and given a good beating . "If you turn on the three rascals that hired you and give them a beating, I will pay you triple of what they offered you . What do you say?" the two bodyguards tempted . "We can give you a deposit first . " The three men were beaten up badly, but as soon as they heard that they'd be offered triple the amount, they immediately confirmed, "Are you serious?" Meanwhile, the three rascals were waiting for the good news . But, to their surprise, as soon as the men they hired returned - they ended up beating them up! Even though the men weren't professional bodyguards, they were experienced with fighting, so it was impossible for the three rascals to defend themselves . The three men were badly injured . But, even after arriving at the hospital, they were too afraid to call the police or make a fuss . If people found out about this incident, they would eventually discover that they were actually the ones that tried to cause trouble for Luo Sheng's parents first . If that happened, their predicament would be even worse . "I never thought that Luo Sheng would become so ruthless!" "'Somebody's' famous now and has money to hire bodyguards . The son of a b*tch is impressive, but I am going to destroy him . " "Don't let me find out which agency signed him on!" Not only SMY's members, but also their agency was desperately trying to find information on Luo Sheng's current agency . They discovered that the agencies name was 'Superstar Media', but, where did this agency suddenly come from? No one had ever heard of them before . "Since it's a no-name agency, they should be easy to deal with . How dare they s.n.a.t.c.h our artist from us? I'm going to show them who's boss!" Mi Jie said confidently . "I am going to take this opportunity to s.n.a.t.c.h back Luo Sheng's contract . " In a short amount of time, Luo Sheng managed to produce some good results . So, late one night, Mo Ting couldn't help but open a bottle of champagne to help Tangning celebrate . "You've already secured initial victory and are doing well . " "Mr . Mo, are you trying to say that I am still miles away from being like Hai Rui?" Tangning raised an eyebrow while sitting at the dining table . "Don't worry, I won't disappoint you . By the way, I've noticed that you've gained some weight . " "Really? I must thank my wife for feeding me well . " As Tangning had been spending more time at home, she found herself using half her time experimenting with recipes; even though her cooking was never bad to begin with . So, these days, Hai Rui's staff would see President Mo carrying a lunch box to and from work everyday . Everyone was so jealous that they would find themselves dribbling at the sight of it . Hence, they all a.s.sumed that Tangning had become a housewife after Xu Xin's incident . "If you get any fatter, I won't want you any more . " After hearing this, Mo Ting lifted Tangning onto the dining table and grabbed hold of her chin, "I dare you to say that again . " Tangning smiled and hooked her arms around his neck submissively, "Why don't you punish me instead?" "I was just about to do that . " As soon as he was done talking, Mo Ting immediately undid his b.u.t.tons . It seemed, he needed to show his wife properly whether he had truly gained any weight . In reality, he was still as powerful and strong as ever . Later that night, Long Jie gave Tangning a phone call, "The manager named Mi Jie has been going around asking for information about our agency . I'm sure she'll come looking for us very soon . " "Good . . . " Tangning replied as she helped Zichen remove his clothes . "It would be even better if you meet while Luo Sheng is around . " To gain a person's loyalty, one had to give them what they wanted . The manager had bullied Luo Sheng for a long time, so he was bound to be boiling with hatred . This was an unstable factor that Tangning and Long Jie had to consider . "Understood . I will display my skills well in front of Luo Sheng and show Mi Jie how to be a proper manager," Long Jie laughed . "That's all for now, good night . " To allow the woman to find her, Long Jie deliberately leaked the agency's address to people within the industry . And just before she went to sleep, she gave Luo Sheng a phone call, "Come to the office tomorrow afternoon to discuss an endors.e.m.e.nt deal . " However, Lu Che was a little jealous, "Why are you calling your artist so late at night?" Long Jie understood what he was thinking, so she glared at him with a smile, "Are you jealous?" "No, it's just that . . . from now on, you should call your artists earlier . . . "
"Just admit that you're jealous . " "Fine . A little," Lu Che couldn't deny . "After all, the artist you ladies are investing in is especially good looking, isn't he?" "I'm already a mother . What are you thinking?" Long Jie hit Lu Che on the chest . "Plus, in my eyes, you will forever be the low EQ block of wood that I like . No matter what happens in the future, nothing can change that . " Lu Che understood that Long Jie wasn't like that . He was simply a little jealous . "Plus, I know that I will never be as good as you . " "So, even though the President told me not to help the Madam . . . I'm aware that he never said that I can't help you . . . "
"Haha . . . my good husband!" Long Jie didn't care about her pride . She knew that one day she may actually need Lu Che's help . Try to complain? Get a face slap . Long Jie loved it when her enemies presented themselves in front of her . Especially when they overestimated themselves . So, early in the morning, she headed straight for the office, just so her enemy wouldn't show up in vain . 8am was sincere enough, wasn't it? Soon after, Luo Sheng also arrived . Seeing that Long Jie was humming happily to herself, he couldn't help but laugh, "Did something good happen today? Why are you so happy?" "It's nothing," Long Jie placed a few advertising briefs in front of Luo Sheng . "Although you have plenty of options, you can't simply accept everything . You need to select the ones that are well suited to you . Have a look at these advertising briefs and pick out the ones you want . " Luo Sheng looked at his options: they were either shampoo brands or food brands . Worst of all, the accompanying lines were extremely cheesy . . .
"Can I . . . reject them all?" "Why?" Long Jie revealed a meaningful smile . But, before Luo Sheng got a chance to reply, Long Jie's secretary began knocking on the door, "Long Jie, the person you've been waiting for has arrived . " Chapter 822: Try To Complain? Get A Face Slap Translator: Yunyi Editor: Yunyi To prevent people from causing trouble again, Long Jie specifically hired two bodyguards for Luo Shengs parents . These two men appeared to be normal workers in the store, but in reality, they could paralyze a person with one swift move . Of course, SMYs members couldnt accept being overshadowed . Especially since they had always been the ones to bully Luo Sheng . How could they let him tread on top of them now? So, they hired three men to appear at Luo Shengs parents store to cause trouble again . Unfortunately, as soon as they stepped foot into the store, they were kicked out by the bodyguards arranged by Long Jie . On top of that, they were dragged to an empty alley and given a good beating . If you turn on the three rascals that hired you and give them a beating, I will pay you triple of what they offered you . What do you say? the two bodyguards tempted . We can give you a deposit first . The three men were beaten up badly, but as soon as they heard that theyd be offered triple the amount, they immediately confirmed, Are you serious? Of course . Meanwhile, the three rascals were waiting for the good news . But, to their surprise, as soon as the men they hired returned - they ended up beating them up! Even though the men werent professional bodyguards, they were experienced with fighting, so it was impossible for the three rascals to defend themselves . The three men were badly injured . But, even after arriving at the hospital, they were too afraid to call the police or make a fuss . If people found out about this incident, they would eventually discover that they were actually the ones that tried to cause trouble for Luo Shengs parents first . If that happened, their predicament would be even worse . I never thought that Luo Sheng would become so ruthless! Somebodys famous now and has money to hire bodyguards . The son of a b*tch is impressive, but I am going to destroy him . With your abilities? Dont let me find out which agency signed him on! Not only SMYs members, but also their agency was desperately trying to find information on Luo Shengs current agency . They discovered that the agencies name was Superstar Media, but, where did this agency suddenly come from? No one had ever heard of them before . Since its a no-name agency, they should be easy to deal with . How dare they s.n.a.t.c.h our artist from us? Im going to show them whos boss! Mi Jie said confidently . I am going to take this opportunity to s.n.a.t.c.h back Luo Shengs contract . . In a short amount of time, Luo Sheng managed to produce some good results . So, late one night, Mo Ting couldnt help but open a bottle of champagne to help Tangning celebrate . Youve already secured initial victory and are doing well . Mr . Mo, are you trying to say that I am still miles away from being like Hai Rui? Tangning raised an eyebrow while sitting at the dining table . Dont worry, I wont disappoint you . By the way, Ive noticed that youve gained some weight . Really? I must thank my wife for feeding me well . As Tangning had been spending more time at home, she found herself using half her time experimenting with recipes; even though her cooking was never bad to begin with . So, these days, Hai Ruis staff would see President Mo carrying a lunch box to and from work everyday . Everyone was so jealous that they would find themselves dribbling at the sight of it . Hence, they all a.s.sumed that Tangning had become a housewife after Xu Xins incident . If you get any fatter, I wont want you any more . After hearing this, Mo Ting lifted Tangning onto the dining table and grabbed hold of her chin, I dare you to say that again . Tangning smiled and hooked her arms around his neck submissively, Why dont you punish me instead? I was just about to do that . As soon as he was done talking, Mo Ting immediately undid his b.u.t.tons . It seemed, he needed to show his wife properly whether he had truly gained any weight . 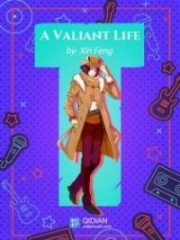 In reality, he was still as powerful and strong as ever Later that night, Long Jie gave Tangning a phone call, The manager named Mi Jie has been going around asking for information about our agency . Im sure sh.e.l.l come looking for us very soon . Good . Tangning replied as she helped Zichen remove his clothes . It would be even better if you meet while Luo Sheng is around . To gain a persons loyalty, one had to give them what they wanted . The manager had bullied Luo Sheng for a long time, so he was bound to be boiling with hatred . This was an unstable factor that Tangning and Long Jie had to consider . Understood . I will display my skills well in front of Luo Sheng and show Mi Jie how to be a proper manager, Long Jie laughed . Thats all for now, good night . To allow the woman to find her, Long Jie deliberately leaked the agencys address to people within the industry . And just before she went to sleep, she gave Luo Sheng a phone call, Come to the office tomorrow afternoon to discuss an endors.e.m.e.nt deal . This was perfect! However, Lu Che was a little jealous, Why are you calling your artist so late at night? Long Jie understood what he was thinking, so she glared at him with a smile, Are you jealous? No, its just that . from now on, you should call your artists earlier . Just admit that youre jealous . Fine . A little, Lu Che couldnt deny . After all, the artist you ladies are investing in is especially good looking, isnt he? Im already a mother . What are you thinking? Long Jie hit Lu Che on the chest . Plus, in my eyes, you will forever be the low EQ block of wood that I like . No matter what happens in the future, nothing can change that . Lu Che understood that Long Jie wasnt like that . He was simply a little jealous . Plus, I know that I will never be as good as you . So, even though the President told me not to help the Madam . Im aware that he never said that I cant help you . Haha . my good husband! Long Jie didnt care about her pride . She knew that one day she may actually need Lu Ches help Try to complain? Get a face slap . Long Jie loved it when her enemies presented themselves in front of her . Especially when they overestimated themselves . So, early in the morning, she headed straight for the office, just so her enemy wouldnt show up in vain . 8am was sincere enough, wasnt it? Soon after, Luo Sheng also arrived . Seeing that Long Jie was humming happily to herself, he couldnt help but laugh, Did something good happen today? Why are you so happy? Its nothing, Long Jie placed a few advertising briefs in front of Luo Sheng . Although you have plenty of options, you cant simply accept everything . You need to select the ones that are well suited to you . Have a look at these advertising briefs and pick out the ones you want . Luo Sheng looked at his options: they were either shampoo brands or food brands . Worst of all, the accompanying lines were extremely cheesy . Can I . reject them all? Why? Long Jie revealed a meaningful smile . But, before Luo Sheng got a chance to reply, Long Jies secretary began knocking on the door, Long Jie, the person youve been waiting for has arrived . 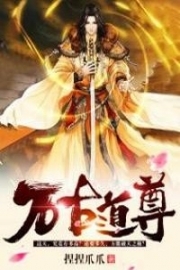 You're reading novel Trial Marriage Husband: Need to Work Hard Chapter 822 online at LightNovelFree.com. You can use the follow function to bookmark your favorite novel ( Only for registered users ). If you find any errors ( broken links, can't load photos, etc.. ), Please let us know so we can fix it as soon as possible. And when you start a conversation or debate about a certain topic with other people, please do not offend them just because you don't like their opinions. You're reading Trial Marriage Husband: Need to Work Hard Chapter 822. This novel has been translated by Updating. Author: Passion Honey, 百香蜜 already has 760 views. Current Time is Apr-21-2019 16:27:54 PM.